At ASU, we take R&D very seriously. We believe that every new product, new innovation, and new discovery leads us a step closer to our ultimate goal: to get each of our operators home safe every night. This is the vanguard of night vision technology backed by more than 20 years of research, experience, and innovation. This is ASU. With decades of experience in corporate and government research and development, the ASU team can tackle the most challenging aerospace and defense projects. The team holds patents and technical publications in night vision and electro-optical imaging systems on numerous imaging systems. 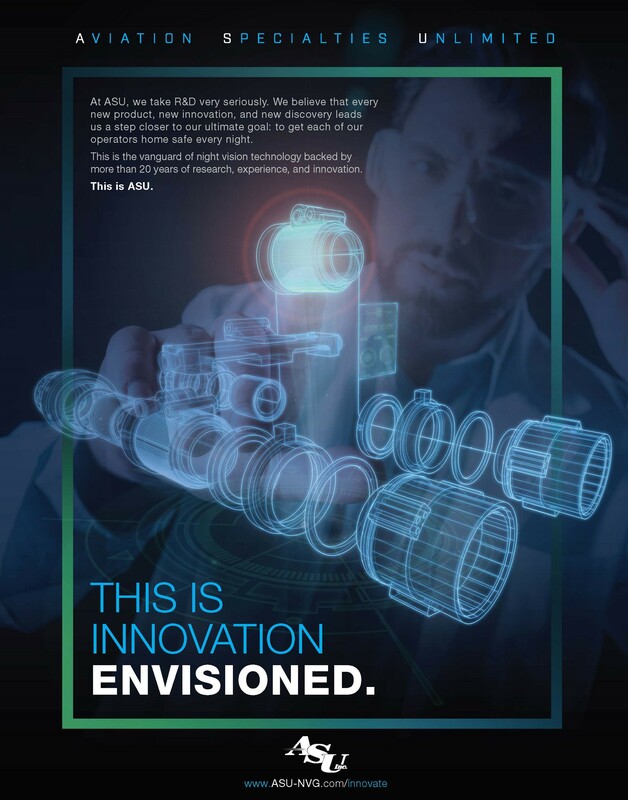 Working collaboratively with industry experts and other innovators allows our team to tap into the latest technology, methods, and knowledge in pursuit of major industrial night vision and electro-optical technology/product advancements. Recent collaborative projects include the development of the Aeronox™ Mount and Battery Pack and AFWERX Helmet Challenge. With design, engineering, manufacturing and test capabilities on site at the ASU headquarters in Boise, Idaho, our team can rapidly take advancements from concept to the field based on customer needs and requirements.Through a rapid development process, the team has developed an expansive list NVIS modified equipment to keep our nighttime operators equipped and mission-ready.